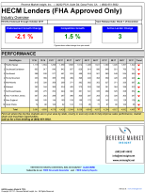 HECM endorsement volume gained fractionally in July, up 0.4% to 2,908 loans. This is the biggest sign yet that HECM volume may have bottomed following the substantial program changes that took effect Oct 2, 2017. We usually profile different geographies and lenders in this space, but we have enough distance from the most recent principal limit (PL) reduction and rate floor change so we’re going to take a quick look at how this recovery from that event compares to past episodes to put it in context. First and foremost, here’s the most important chart in our view for how to think about this. HECMs can’t be funded or endorsed (the volume we track in our 3 monthly reports) without first having a case number issued. 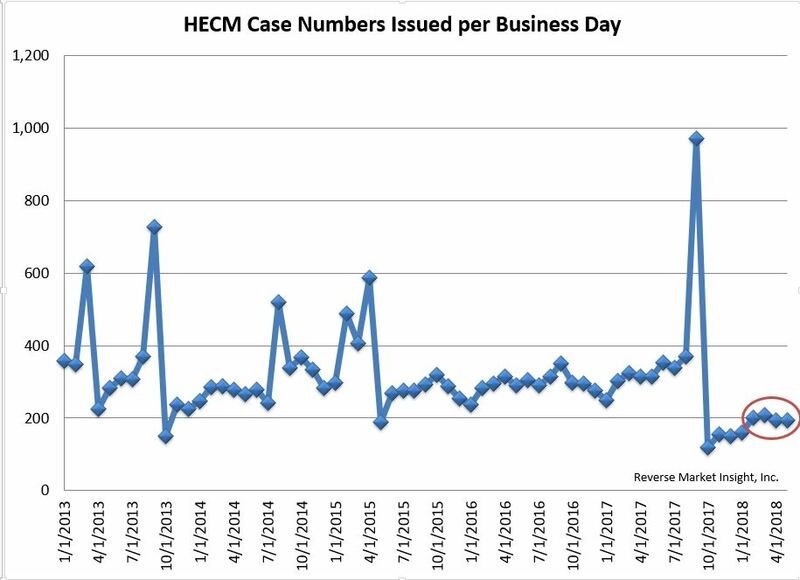 And for all intents and purposes, we’ve seen a stall in the recovery of HECM cases being issued in the last four months (red circle on chart). That means we won’t see meaningful growth in endorsements for at least a few more months absent a significant change in how many cases become endorsed. This last chart shows that on a comparative basis the most recent change looks somewhat better, as we’ve indexed the recovery against the starting low volume point for each change. So case numbers issued (applications) are probably in for tough sledding for a while yet if we go by prior product changes. Next time we’ll show how conversions of case numbers to endorsements look for this product change, then we’ll finish up this series with a look at some other factors causing turbulence in the industry from the most recent product change (namely loan size and high level revenue per loan).